I’m not really having a lazy Sunday – I’m going to Colorado for 6 weeks and I have tons of packing/cleaning/arranging to do. However, if you’re having a lazy Sunday, and would like some awesome content to be brought to you, here’s some links you should be checking out. First, if you have any appreciation for farmer’s markets, farmers, locally grown food, etc. you really need to check out this legislation that’s heading through the tubes. It’s possible that they will be taking all of that away, and your only choices will be to a) buy things approved by Monsanto or b) grow all your produce yourself. Yikes. Check out the article here. If you like comedy, and all things ec0-friendly, check out Dave Burdick. He’s the Business and Green editor at the Huffington Post. His articles are witty and interesting, and usually get around to making a good point. This article is about how not eating meat one day a week can save the earth. Really! You should try it. It’s magic. I think I might be a late bloomer with this New Math blog, but I think it’s fantastic. Plus, I love pirates, so it’s a win-win. A great place to check out for some wry, geeky, math-related humor. 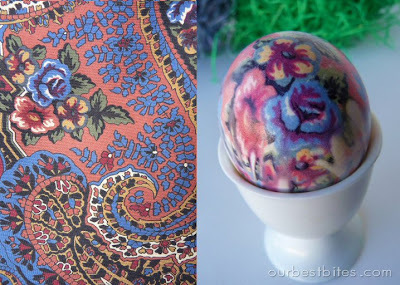 Here’s a great tutorial on how to make something more interesting with Easter Eggs. Instead of using food coloring, why not use an old silk tie? 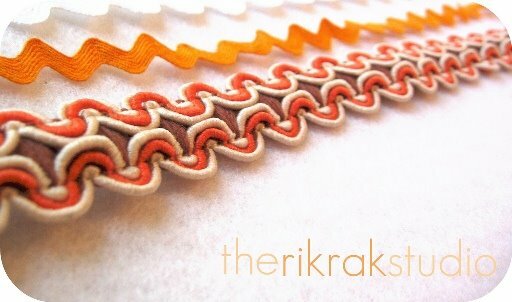 I love the patterns that it produces and the great watercolor-like effect. I love this blog. Colorful and cheerful, and it’s really well designed. I know that’s sort of a weird thing to geek out about, but all of her blog posts have custom images identifying them, and they all work together. You can tell that she’s put a lot of thought and effort into it. I’m also a big fan of her Etsy shop for all of the same reasons. I just found out about Zilok, and I couldn’t believe how brilliant it was. Its potential to make life much easier is amazing. Say you need a power sander to refinish that dresser, or an extra bike because you have a friend coming to town. Instead of buying one, or begging around in the hopes that someone you know might have one, you can rent whatever you’re looking for from members of your community. You can rent motorcycles, a loft in New York, or a mechanical wave machine. How cool is that? I think it’s a great idea for those of us who put things off forever because we can’t justify buying whatever we need to finish a project. I am totally enamored with the incredibly fresh and modern paper products from SusyJack*. Bright colors, big fun. Check it out for yourself, and you’ll see what I’m talking about! That’s all for right now. Hope you enjoy checking out some new things. Please feel free to share what you’ve found – I’m always on the lookout for some new great stuff!